a variety of interfaces to connect to existing systems. all relevant data from and for any existing system. of the event and of the relevant content. Ensures reliable monitoring before, during, and after the congress. Manage and track distribution and access for all congress content and ensure compliance with ownership and distribution rights. 100% precision is required to convince sceptics of the benefits of the digital transformation process. Reliable decision support for optimal planning, execution, and monetisation of your next event. Measure and track consumption of digital content to understand behaviour and interest of your participants and viewers. Delivering digital content in real time and for any event location. meta-fusion’s Smart-Producer is based on decades of experience of large event webcasts and content production. 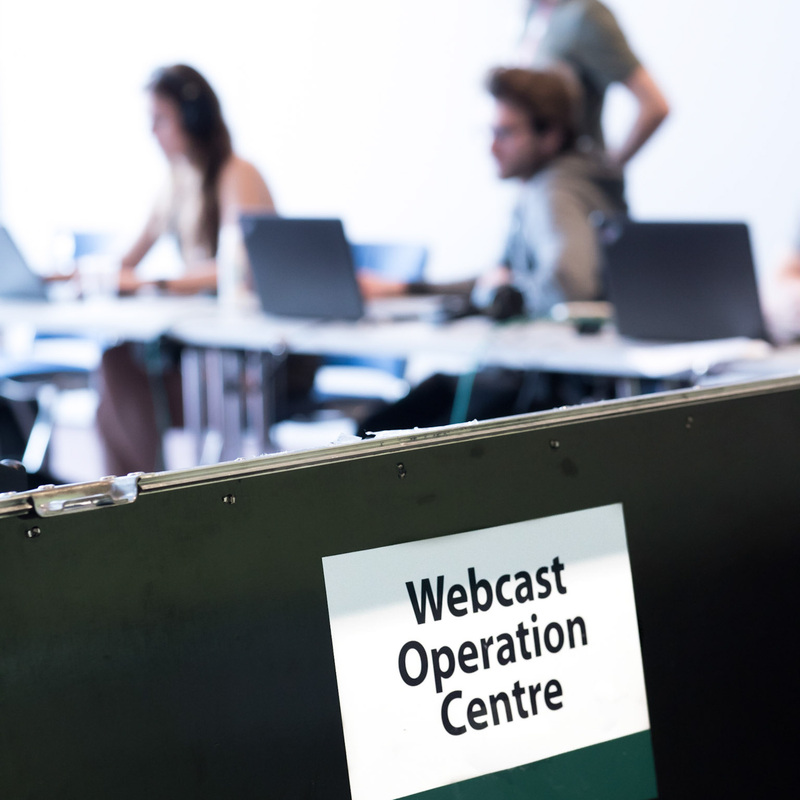 Pre-defined workflows enable highly automated and quasi-real-time production of high-quality webcasts and accompanying content. Open up new horizons and deliver a new kind of congress experience. Only meta-fusion’s Intelligent-Publisher can analyse, index, tag, and publish content in real time. For the first time, participants, association members, sponsors, and media partners can access every presentation, poster, abstract, and slide instantly. The lifeblood of your digital business structure and new services for partners and sponsors. A wide variety of output widgets is available to distribute your content to any channel and platform, at the venue as well as for remote users connected via the internet. So you can deliver content to users how and where they expect to find it.